I took a quick trip up to the Duluth area earlier this week with the lovely Leslie Plesser. 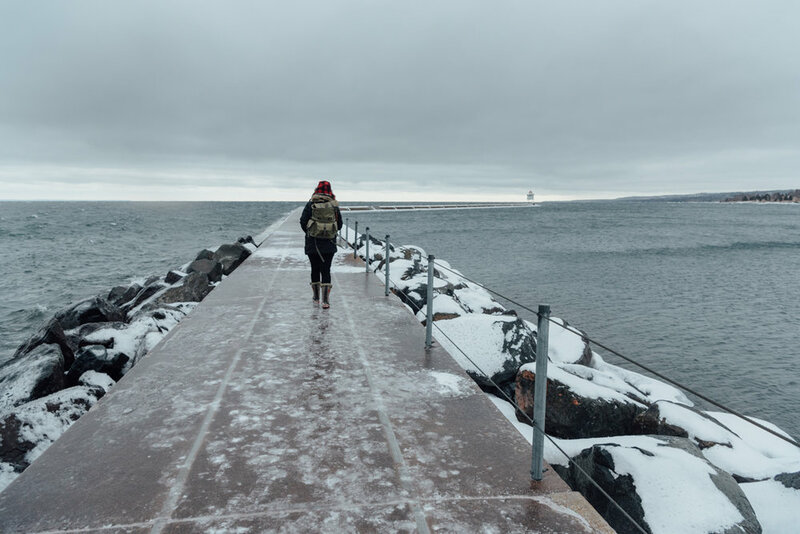 She and I both adore Duluth, the North Shore, Lake Superior, the woods, wildlife and taking photos of it all. Taking a quick break from the city was exactly what I needed. We stayed at Breezy Point on Superior, a perfect little resort with cabins that line the shore. 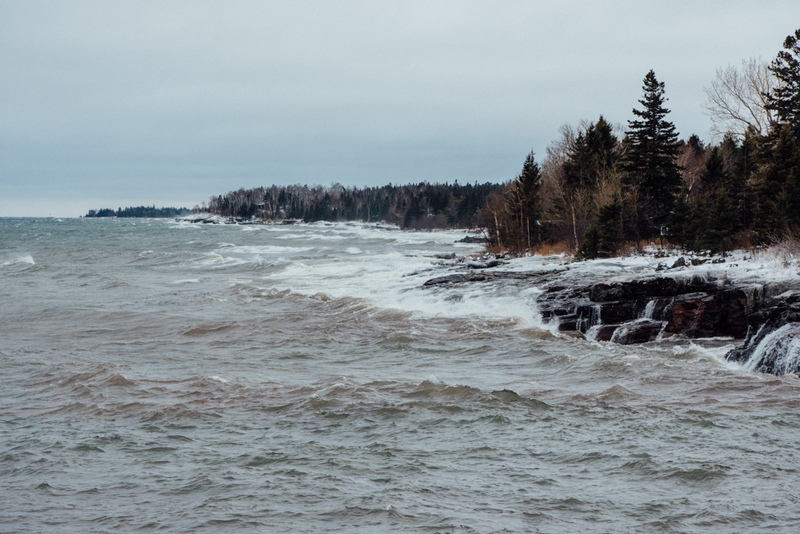 Waking up and seeing the HUGE waves crashing below the cliffs in front of the cabin was mesmerizing. I really think if I lived in Duluth I wouldn't do anything else besides sit and watch the lake. If there is a job with that description, let me know, I'll apply in an instant. Highlights of the trip (besides just staring at the water) included: lunch at New Scenic Cafe (one of the most delicious spots on the North Shore), a hike and little photo trip in Tettegouche and the breakwater in Two Harbors, a photo shoot of a couple of opera singers in the Duluth woods (those photos to come - it was magical), and a mandatory stop for sandwiches at Northern Waters Smokehaus (if, no when, you stop by, get the Cold Turkey -- it is exactly what you need). And, below are a few photos of yours truly that Leslie took -- isn't she the best? !